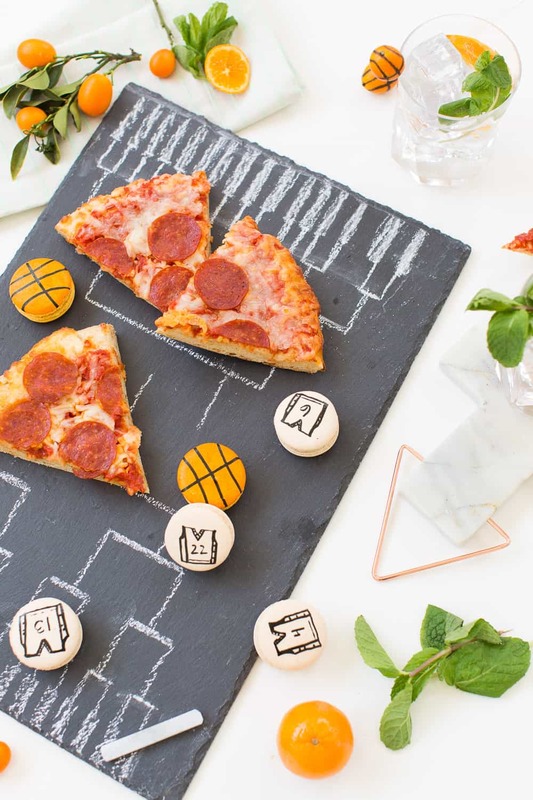 If you’re a basketball fan, or if you’re just in it for hosting the friends and family members who are, I’ve put together 3 DIY ideas for any modern basketball watch party to help along the way. 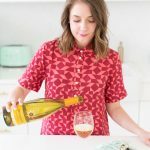 They’re all personal touches that will help you rise to the occasion in twenty minutes or less, which basically sums up my idea of an ideal party prep scenario! The more time I have to spend visiting with guests instead of being stuck in the kitchen to get the most out of the moments that matter, the better. 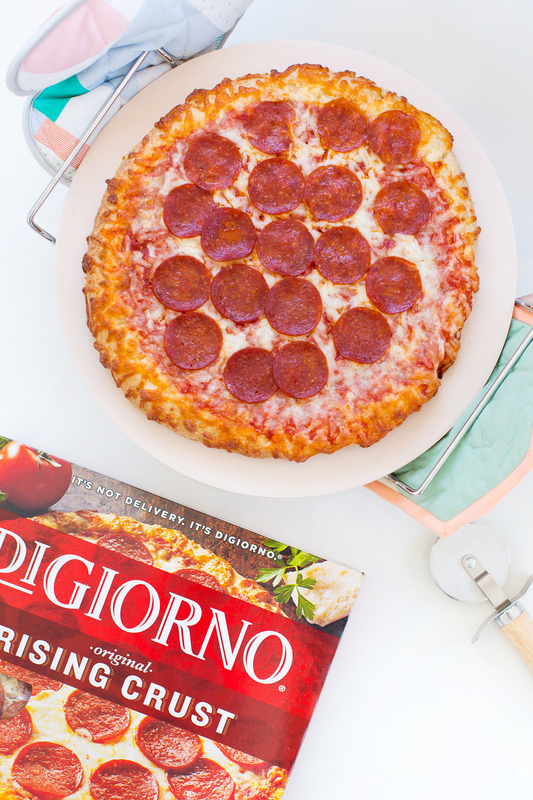 I’m all about spending time on the little details to make even a last-minute get together feel special, which is why I choose DIGIORNO pizza (aka Jared’s favorite fresh-baked pizza to make at home…way too often, ha! I’m in it for the perfect crust) for a classic party menu. 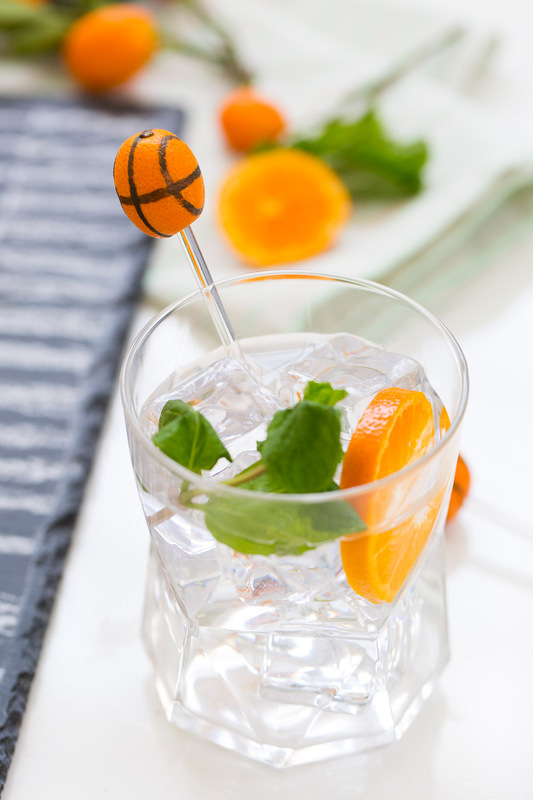 To make the DIY kumquat basketball stirrers, perfect for any kind of drink, all you need are a few plastic stir sticks, fresh kumquats, and an edible black marker. 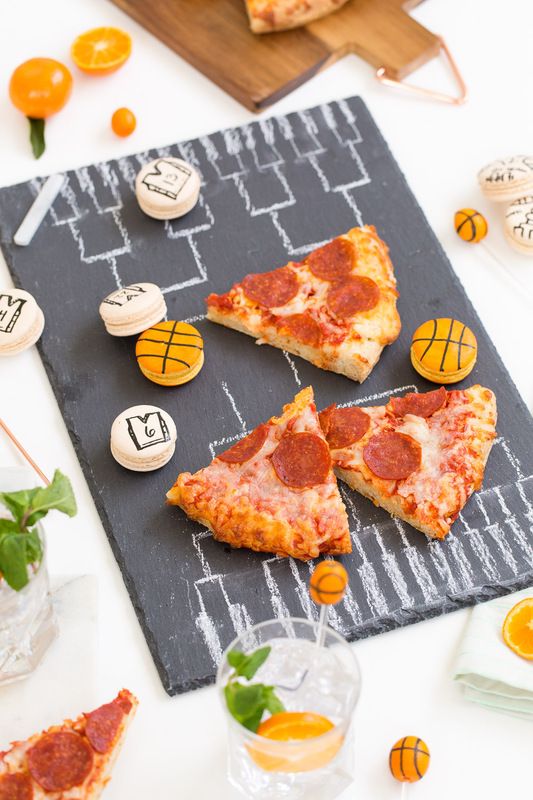 Simply push the kumquat onto the end of the stir stick, and then use the stick to twist the fruit around while you draw the basketball stripes on with the edible marker. 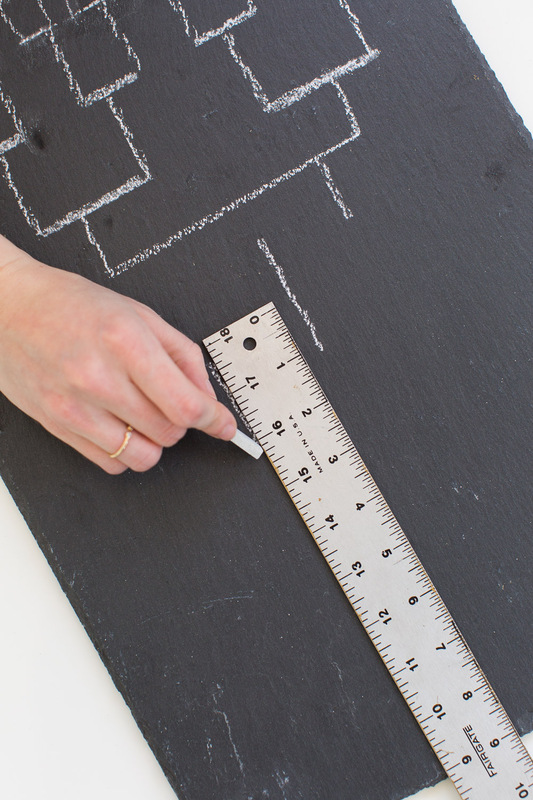 For the serving board, I went with a piece of slate and stone chalk that would be gender neutral and also food safe (safety first, am I right?!). 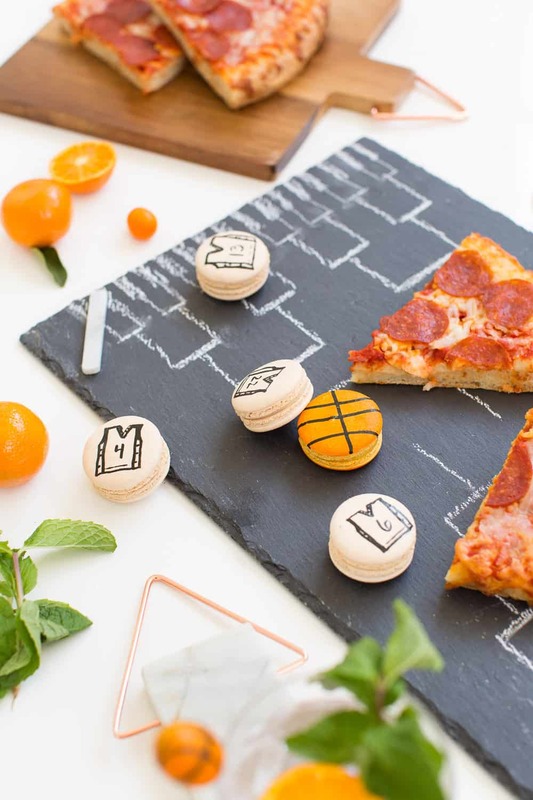 You can use a straight edge or freehand a simple bracket inspired design to tie in an understated basketball theme. Last, but not least, you’ll need a sweet treat to go with your fresh-baked pizza. 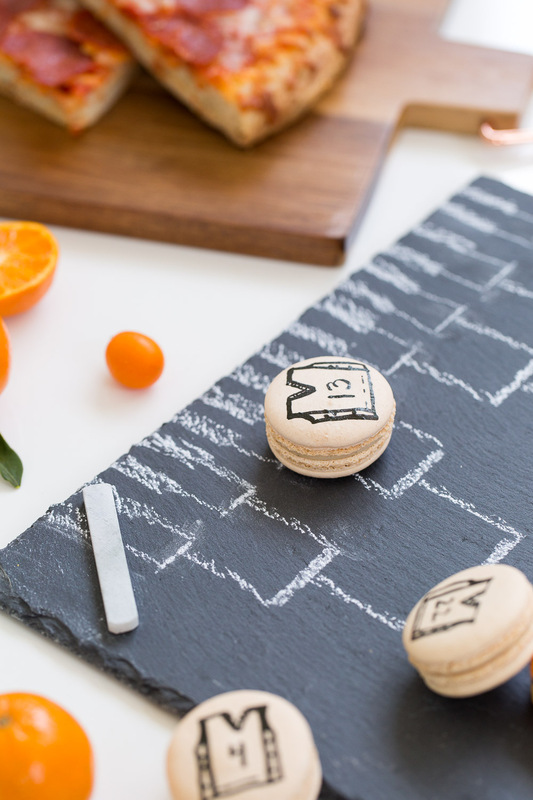 Since we like to keep macarons on hand, I used the same edible food marker as the kumquats to doll up plain vanilla and salted caramel macarons with basketball inspired designs. 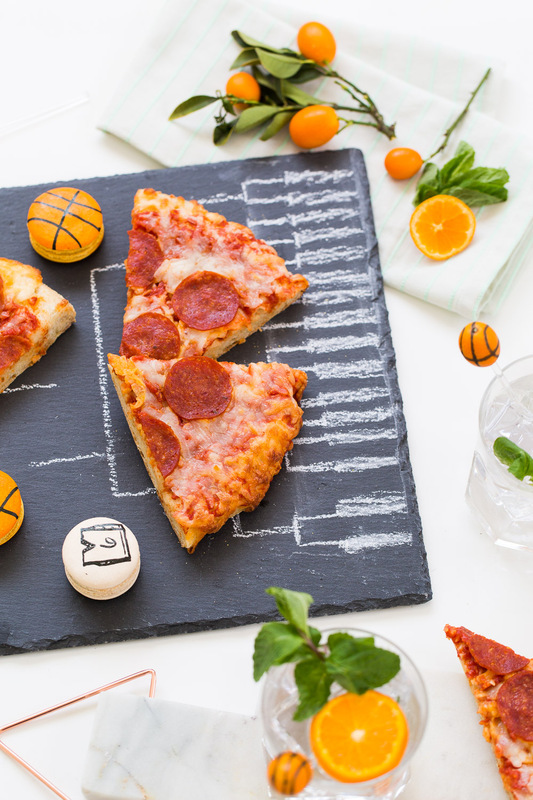 Do you all have any watch party traditions that you always make for the basketball season? Seeing as how I’m all about adding to my arsenal of cute little details, I’d love to know! 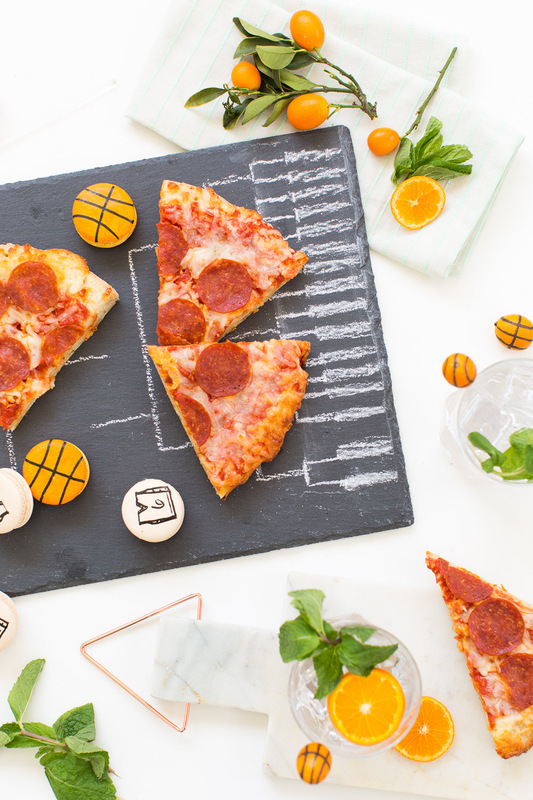 So far the basketball stirrers are one of my favorites! 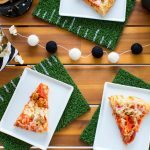 Thanks to DIGIORNO pizza for partnering with us on this post! 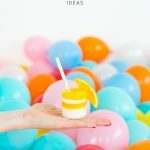 You can find more entertaining ideas on their Facebook, Twitter, and Pinterest pages! Great ideas! UnfortunAtely our Jayhawks aRe out of the competition eaRlier than expected this year, so We have to savE thIs and hope for a better turn out next season! 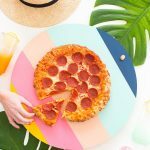 The cutest pizza serving board idea of all time! Very stylish and I will have to give Digiorno a try! Yes, definitely! We’re big fans! Digornio is totally the only frozen pizza my husband will eat! It’s a favorite in our house.